I'm a big outliner when it comes to writing. I outline a lot. (Though I still like to leave room for discovering bits and pieces as I go.) I'm also a strong believer that we can learn to write better intentionally and consciously. After all, that's one of my purposes for running this blog: learning to write with intention and control. Not everyone enjoys writing that way. 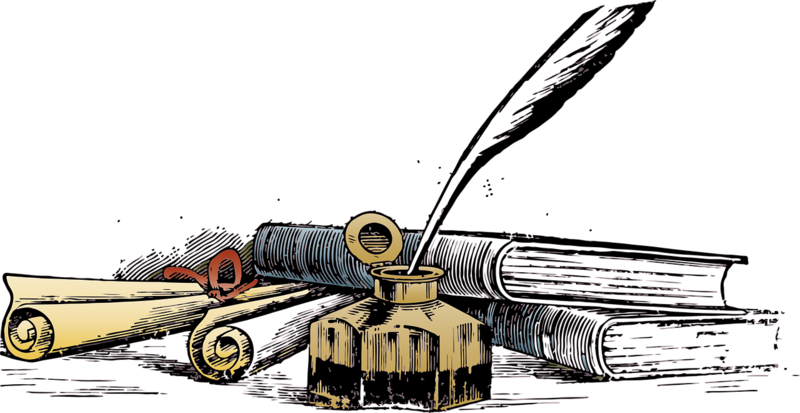 There are instances or even types of people, where writing by intuition is highly effective. Even for someone who adores outlining scene after scene like me. So what do I mean by intuition? Do I mean like mother's intuition? To me, writing by intuition simply means letting your subconscious be your guide. You see, your subconscious can learn things your conscious mind can't. I'll give you an example (assuming you are native English speaker). What order do these words go in? Here are some memes so that there is some scrolling space before the answer. Five big green antique cars? Probably most of you did. But why did you know the most correct order? Did you know that rule? Unless you are super into the English language or English is not your first language, probably not, even if you are a writer. 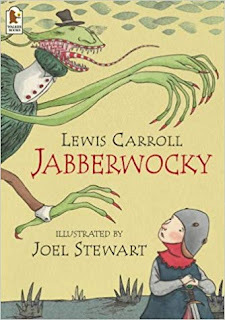 If you want yet another example, look up the poem "Jabberwocky"--you'll notice that you know what parts of speech all the words are, even though they are made up and you don't know what they mean. Most people who don't study the English language can still tell, even if they can't explain why. In storytelling, this exact same thing happens. This is why often when working on a story or getting a critique from another writer something may feel off, even if no one can pinpoint why. It's because your subconscious knows something is wrong. In some cases, this leads to a manuscript being misdiagnosed. In the best cases, you are able to dissect what's going on and discover the real problem and fix it appropriately. This is why I truly believe that we can become better writers by pulling what happens subconsciously into the conscious part of our minds, learning how it works, and using it with intention and control. But guess what? It's not always that simple or direct. I have a character in my one of my manuscripts that has been giving me problems through the entire writing process. I did everything I could think of to get him to work. (I later learned that the type of character I'd chosen for this person is considered one of the most difficult types to write (a.k.a. the "boy scout/good guy"). Ignorance is bliss . 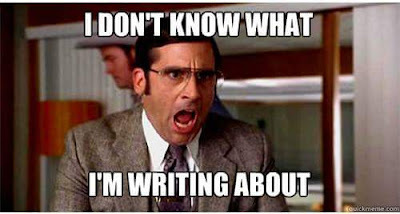 . . until you are trying to actually write something good enough to publish and can't figure out why this character is giving you such a headache.) I reread parts of books on characterization, listened to Writing Excuses, and once I realized what kind of character type he was, scoured online writing tips for that particular type. I really worked at it. I mean really. Every time I had to write or rewrite a scene in his POV, I did everything I could to get into his head. And when I went back and read through the story as a whole, he was STILL not working well enough. (And yet by this point he was in the story too deep to completely cut or change either). I took a long break from the manuscript and picked it up again. As I went through it, I mentally threw out all of the background information, character profile, files, sheets, or whatever I had on him. It took a little bit to get myself to loosen up after I'd been trying so hard for so long--every time I got to his scenes, I wrote a note to myself at the top, "playing around version." But the effects were immediate. Suddenly this character, who was the toughest character I'd ever written, was working. I promised myself through the whole edit that when I got to his scenes, I'd let intuition be my guide when it came to tweaking and mending his characterization. What's weird is that it ended up not actually being THAT much work (much less than all the work I put in trying to consciously fix him). The plot was still almost the same. But the tweaks had a huge impact on him. Even today, months after I finished that draft, I can't consciously tell you why the intuitive choices I made worked so much better than all the million other ways I tried to fix the problem. As someone who likes to outline and dissect and gain control, this is something that haunts me a little bit. But it also made the writing process feel magical. Because I didn't understand why it was working. It just was. In reality, I saved myself a lot more headaches by letting my intuition FIX this broken character. Some discovery writers might be reading this and thinking, well, duh! That's what writing is. 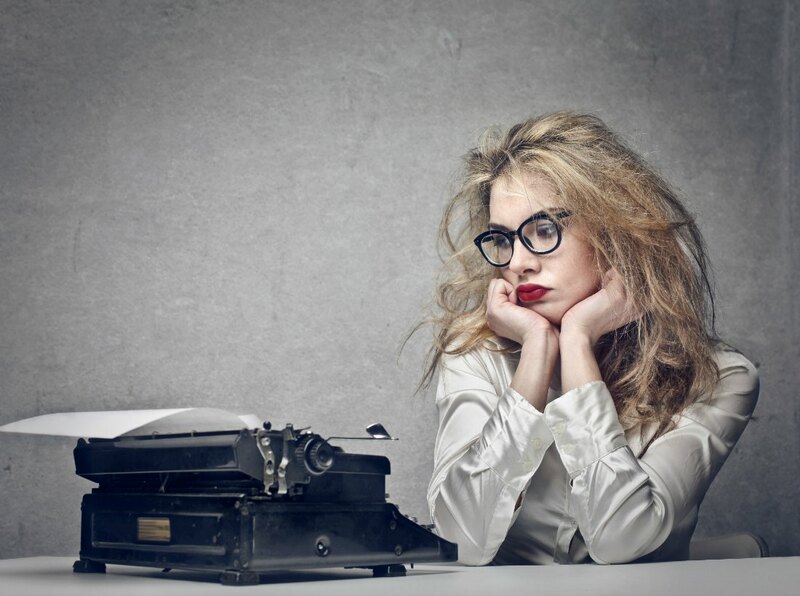 You let the characters and story tell themselves, and you just transcribe it. I'm mostly not a discovery writer. Though I do have characters that do seem to pop up in my mind and all I really need to do is write them down. The thing was, this was fixing a character that hadn't simply popped up in my mind. Your subconscious is a powerful thing. It knows things you don't. (That's why it's your "subconscious" of course.) 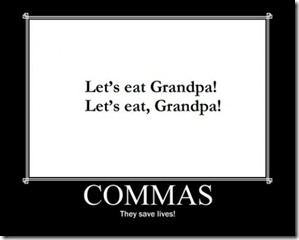 Just like that grammar example above. For some, all they do is write by intuition. But I think most of us do best by finding our own personal balance between the conscious and subconscious parts. Surely there is something to be gained from both sides. So how can we power up our subconscious? The more we watch, read, and experience stories, the more our subconscious picks up--on our tastes, what works well, what doesn't, and all kinds of other things we aren't fully aware of. Your subconscious and the creative part of your brain are hard at work when you sleep. Your brain is processing and dealing with problems and issues that are in your subconscious. My personal opinion is that this may be one of the reason we get a little emotional or dramatic or over reactive around this time. Most writers I've asked say they work best when they first wake up or just before bed. It's easier to get your subconscious to be your guide during these times. I'm sure my family thinks I'm weird because when I'm struggling to get deep into a particular viewpoint (which has often been THAT character), I turn off the lights in my room when I'm working. What they don't know is that prior to working, I've lain in bed for maybe 15 minutes with my eyes closed. And prior to that, I was thinking a bit about what I was going to be working on. Lying around in the dark in bed, while inviting that into my subconscious, usually leads me to getting up and suddenly feeling more in tune with whatever I'm about to work on. It's okay, you guys can think I'm all crazy. But most people I know who have sincerely tried some type of meditation have noticed real differences. You don't even have to believe in chakras or your third eye or anything else like that. The thing is, during meditation, your brain waves change. So if you can't work as soon as you wake up, then meditating just before you write might be a good idea. 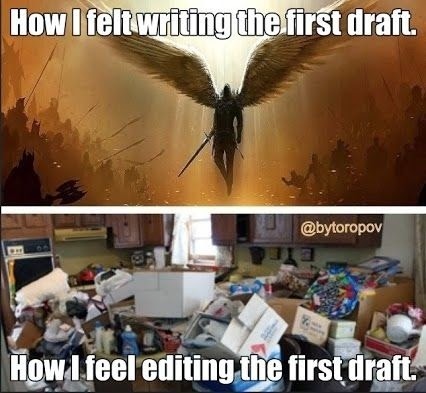 Let go and remember, you can always come back and edit, or if you are editing, you can go back to the earlier draft. Remember, writing is supposed to be fun! If someone like me can benefit that much from writing by intuition, chances are you probably can too, if you don't already. So give it a try. In the future, I plan on having a discovery writer on here to talk to us about their process. I recently was asked about writing dialogue for young characters, and in the process of answering that, it morphed into this blog post about writing young characters in general. Keep in mind that this is not a post about how to write middle grade or YA fiction. It's more of an article to help adults write young characters, when they are having trouble. It might help when writing to younger audiences, but please keep in mind that the approaches differ. So, here are some questions to consider that might help. How old is the character? You know, a five-year-old is a lot different than a sixteen-year-old. They have different attitudes, perspectives, interests, and in some ways, feelings. My recommendation is to see if you can spend time with kids in that age range and listen to 1- what they talk about, and 2- how they talk. Really young kids are still learning how to talk, so they're going to have simpler words. "Mama," "Dada," "Uh-oh," and such. Then of course we move on to full sentences. For the most part, kids talk in rather simple sentence structures. The younger, the shorter the sentence. The good thing about the internet is that even if you don't have access to children, preteens, or teens of a particular age, you can easily hop on Youtube and find some to listen to. For really young children, you'll be looking for videos their parents uploaded. Older kids might have their own channel. Keep in mind that talking to a camera is still somewhat different than talking candidly, so ideally, look for videos that are more candid, though into-the-camera videos will provide their own kind of insight. You can also research online to see how a child's speech changes as they grow. But also look at what their perspective and interests might be for their age. For example, a six-year-old girl may be interested in playing with dolls, but an eleven-year-old is typically no longer interested. Younger kids typically can't stay still when they are talking, so you'll see them playing with sticks, or shuffling their feet. They generally have fewer inhibitions and haven't yet learned how to censor their thoughts and feelings. When they get older, like many teens, the opposite may be true. They may have too many inhibitions and lots of thoughts and feelings they don't share, especially with adults. It can sometimes be very difficult to know how they feel about something because they've learned to keep their expressions a blank slate (sometimes this relates to inhibitions, sometimes not). Also, for some, they begin defining themselves based on dislikes, and it's not cool (or "safe") to like certain things. It's way easier to go through life disliking everything. Teens obviously use more slang. In my opinion, it's usually better to use longstanding slang than the current trends. "Cool" will be around for ages. "Totes cray cray" probably won't. How well can they communicate and express themselves? Kids yell. Cry. Throw tantrums. Can you imagine what it would be like if adults did that? Oh wait, you don't have to. Someone already did something similar. When we get older, we learn how to communicate better while also learning how to censor our thoughts and manage emotions. Kids haven't learned those things yet. If they are mad, they may throw their plate on the floor or go hit the dog. That's how they are communicating and expressing themselves. What do they hear and see others say and do? A lot of what kids say and do is based on something they've heard or seen (even if they don't realize it). If you spend time with kids, you'll know this is true. When I was a kid, I knew some girls who were always gossiping about other people (something I didn't care about), but guess what? Their mom was the exact same way. If an adult tells them something, they might go say something similar to someone younger than them if given the opportunity. Keep in mind that what they repeat may not be in the exact same words (though if it's short, it might), and what they retell may not be exactly accurate. Kid History is a great example of this. Here is my favorite episode. Very funny. How do they view and experience the world? For one of my nephews, just about everything is like a video game, or relates to a video game (I love that kid). Also, play includes humming epic music for dramatic effect. So consider how the character sees and experiences the world. Sometimes this is affected by their physical body. 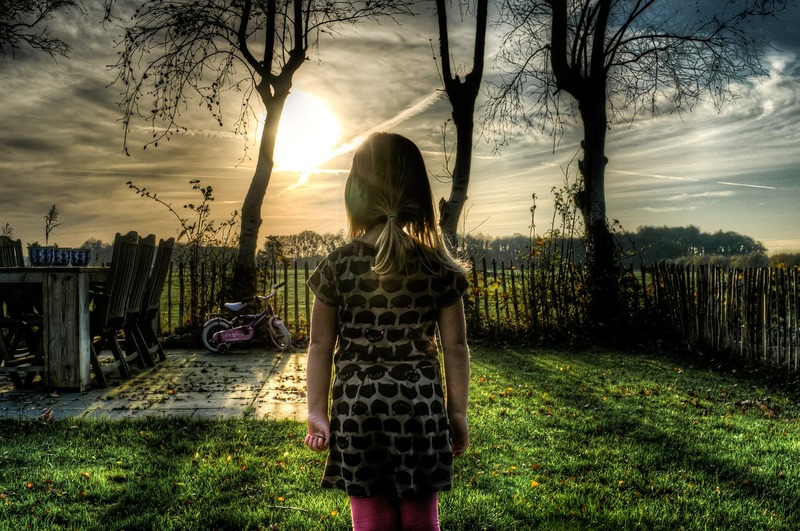 A child that is sensitive to sound may view the world differently than one who isn't. When I was a child, I watched a scary movie (when I wasn't supposed to) and for months I was terrified of mirrors, convinced someone might come out of them. Children haven't yet experienced enough life be able to clearly discern fiction from fact, and they also have active imaginations, which influences how they perceive the world. Here is a great (and very fun) video where a dad brought his son's imagination to life using special effects. Because I love them, here's another. Children tend to have intense interests. They'll listen to "Let it Go" until you want to bang your head against the wall. They'll learn every name of every shark in the ocean, or recite every available fact of a frontman in a band. Children like repetition more than adults. They'll want you to read the same book every night. I'm not an expert, but I heard this is because they are still developing and learning patterns and enjoy predictability (when they are still trying to figure out so much of the world). Interests, likes and dislikes, can be very important for kids, to the extent that some define themselves by that. What are their social skills and interactions like? I was helping out at a nursery several weeks ago (kids ages 1-3) and within a few minutes one of the girls decided I was her best friend. In fact, she got a little bossy telling me how I had to sit and play with her. Other children are too shy to come up to or even look at strangers. Still others are in their own little world and are simply not interested. One of the boys played cars and barely talked to anyone, and when he did, it was only one word. As a kid, I usually felt okay interacting with other kids, but I was always afraid of interacting with adult instructors--whether school teachers, dance teachers, gymnastic teachers, whatever. I was just terrified for some reason. Some people may want to think that kids are the most innocent and non-biased beings in the universe, and in some ways, that is true. 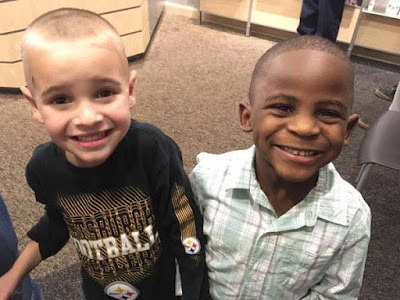 For example, months ago, this story was in the news about how this boy wanted to shave his head so that his teacher couldn't tell him apart from his best friend. From my experience, most children are rather "color blind." I know I was. Other times kids can be surprisingly biased. In my fourth grade glass, pretty much everyone hated this one specific kid. Looking back, I'm not sure why we hated him. He wasn't mean or anything. I think it might have been just based on his looks and behaviors. I've known other kids who wouldn't play with a peer because they were "fat." Kids can be incredibly rude to each other. Sure, they can be rude to adults, but they usually don't have much power in comparison to adults, so it's not the same effect. What is their gender? And how typical are they of it? This is the part where I get hateful comments. Some people believe gender is a complete social construct. Others believe everything about gender is biological. Personally, I'm somewhere in the middle. I think a lot of our human understanding of gender is based on culture and society. I mean, back in the day, makeup, high heels, and dance was for men. You can also go to other countries and see how men and women act different based on their culture and society. However, there are studies that also suggest it's biological. When I was helping out in a nursery weeks ago, there were 8-9 children. We got the toys out and immediately ALL the girls were playing with dolls and pretend kitchens and ALL the boys were playing with cars. Studies have been done with apes in the wild that had never seen toys before. Scientists gave them dolls and cars. Guess what? SAME results. This is not to say girls can't play with cars and boys can't play with kitchens (and eventually two of the kids in the nursery did swap toys for a short amount of time). Heck, I preferred action figures. Robocop and Batman were my favorites. But there are typical behaviors based on gender. How much does the child adhere to those? Whether it is cultural or biological, the reality is typical differences exist. And whether a child adheres to or is different from that affects their experiences. I'm not saying they can't be different, but again, it affects their experiences of the world. To me, Disney Princesses were boring. But I was obsessed with Lion King. I showed Lion King once to my niece years ago. She could have cared less, which surprised me at the time. What is their personality and emotional range? 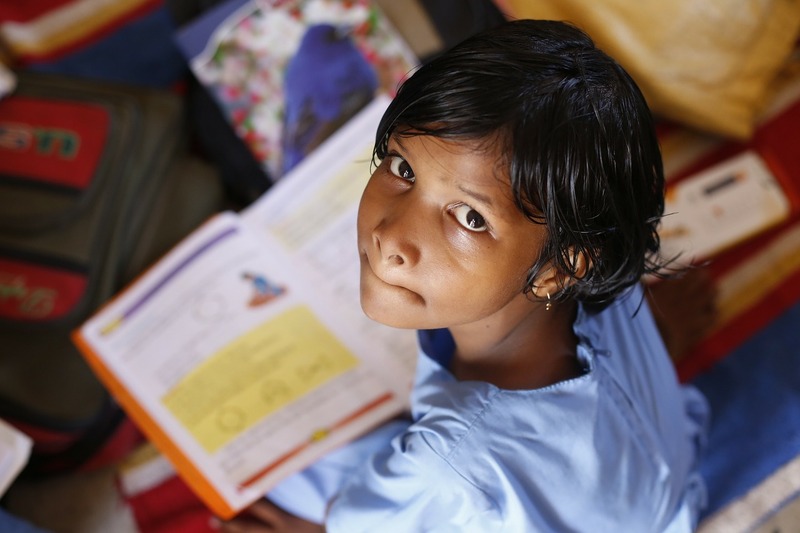 Beyond gender and age and interests: children aren't the same. Not any more than adults are all the same. Even babies are different! I know people as adults that I knew as teens and children. Guess what? They still have many of the same qualities. They just manifest differently now that they are older. My friend who loved being the center of attention and performing (even when we played pretend) went on into the entertainment industry. We all have different emotional ranges and spectrums that we are prone to. Typically, I'm a pretty easygoing person. And my mom tells me I was an easy baby. Some people have tempers. Some people are very sensitive. Some are cautious. And some never seem to look before they leap. Sure, some things do change. Someone might overcome their temper by adulthood. But often I wonder--did they really "overcome" it? Or just learn how to manage it? I could go on, but I hope this helps when it comes to writing children. It might be helpful to base your character on a few specific children to get you started. One of the most important things, especially if you are writing to children is to not ever write down to them. Don't patronize them. You aren't writing about children. You are writing about people who happen to be young. And I really believe this. Children are people, and should be respected. They just happen to have tendencies and behaviors that relate to their development. Heck, we all do. But for some reason when we are adults, we are off the hook (probably because we don't have a person in higher authority hovering over us constantly). Now if you are writing to these age groups, you are going to approach this differently, though some of these may still be helpful. What are your tips for writing children? What have you noticed about kids that may help some writers out? Leave them in the comments. A follower recently asked me if I had a post about coming up with titles, and since I didn't, I decided to write one. Coming up with titles is weird sometimes. For example, I have had stories where the title simply "came to me" before I'd even started writing it. Other times I couldn't come up with or even consider a title until the story was essentially completed. You can also throw working titles in there--titles you slap onto a WIP until you get further along and really consider it (or until an editor wants to call it something different). If a title just "came to you," that's great, but you also might want to double check that it is really the best title for the work. Other than the cover art, the title is perhaps the most important selling point on the book itself. It might be what gets a reader to pick up the novel to look at. (After that, the back cover copy obviously becomes important.) Unfortunately as writers, most of us have no say in what the cover art is--if we are publishing traditionally. But we do have some say in the title. Often, the best titles capture an interesting image/concept, promises what kind of story the book is, or both. Genre may also factor in. It's usually better to be more specific than vague. Remember that whole post I did on vagueness? And also this whole post I did on not picking generic details? As a reminder, if something is too vague, the audience doesn't get enough context, and therefore can't care about the story. If something is too generic, it leaves no impression and is forgettable. One time in my writing group years ago, we decided to go through the bookshelf (near where we met in a library) and find the worst title we could. To this day, some of us still remember that meeting because of that. The worst? That was a title. (And the cover art was equally boring.) This is a horrible title, in part because of the points I just made. "The Land" is very vague and very generic. I have no clue what land we are talking about or why I should care about it--I have zero interest in this book (other than the fact the title is so awful). I have no idea what genre it is. Is this something geographical? A Land Before Time wannabe? Who knows. Now, because I know people are going to go search that title on Amazon, I want you to know that this book did not have a subtitle. It did not have a cover image that conveyed a story. It was just The Land. So lets talk about some examples that fit into the two categories I named. 1. Captures an interesting (and specific) image or concept. Also, probably worth mentioning is that just because I refer to the title as an example, it does not necessarily mean I have read or watched it--just grabbing examples, some I know, some came up in searches. Mistborn is a good example of this. It takes two images or concepts we are familiar with and smashes them together. We know what mist is. And we know what it means to be born. These are concepts and images that are specific. 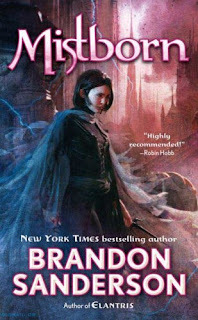 However, we don't know what it means to be or act Mistborn, so it's intriguing. Maybe this is why we pick up the book. Because we understand enough about those two concepts, but we want to know what this concept means. Well, next thing you know, you are reading the back cover (which is equally interesting) and then opening the book. Notice too, that the word mist is something that is associated with mystery and maybe even eeriness. In thick mist, we can't clearly see what's in front of us. It's also a word that has some association with the otherworldly, whether it's from Stephen King's The Mist, or someone in Middle-earth talking about The Misty Mountains. "Mist" creates a sort of buzz because of its associations and connotations--like those "buzzwords" I talked about in my post, 5 Tricks that Help with Hooks. Remember, it is not required that you are highly specific, you just need to be specific enough. Harry Potter and the Sorcerer's Stone, this is a title that promises that this story is about Harry. I know that sounds obvious, but it's more than that. This story isn't just about some amazing plot. It's about the daily life of Harry Potter, too. What it's like going to a magical school. It's not always about fighting dark wizards or saving the world. Sometimes it's about dealing with your awful aunt, friends, and schoolwork. I believe the title was changed to Sorcerer's Stone here in the U.S. because that's better for marketing. A philosopher may be interesting to kids. But from a marketing standpoint, a sorcerer is more interesting, because it implies there will be magic in the book, not philosophy. 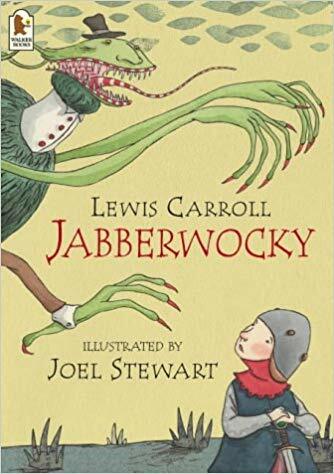 So we know that this is a series about a person, but also has fantastical elements or some adventure to it: Sorcerer's Stone, Chamber of Secrets, Prisoner of Azkaban (again, notice specific images). Likewise, Diary of a Wimpy Kid immediately conveys what kind of story this is. Like Harry Potter, it's about a person. "Wimpy kid" is interesting because no kids would typically describe themselves as that. "Diary" tells us this is a slice-of-life story, but it's also interesting, because what boy would say they own a "diary"? These all make promises, about the genre, story structure, emotional appeals, plot, or whatever else. If I'm a huge Jane Austen fan, I might be immediately drawn to picking up a book called Austenland, out of curiosity, at least. This title helps you find the right audience. Notice, though, that if The Kiss Quotient was a political thriller, then that's going to be a bit trickier to market, because the title has "kiss" in it. (However, in some cases, if you handle it right, that makes it more interesting). Images and concepts can make promises too. Jurassic Park because of what those words are associated with, promises dinosaurs and theme parks. I immediately get an idea for what kind of story this is. Worth noting, is this sort of thing is also why people advise in the industry that you use a different pen name for each genre you write in. Jurassic Park by Michael Crichton is a different story than Jurassic Park by Roald Dahl. Same topic. But completely different stories. And Charlie and the Chocolate Factory by Stephen King would be something totally different. Daniel Handler writes both under his real name and his pen name Lemony Snicket for two different storytelling approaches. Some titles use a play on words or a familiar phrase to make a promise. The Fault in Our Stars - This title comes from a line in Shakespeare's play, Julius Caesar (notice how that title tells us what it's about too) where Cassius and Brutus are speaking about how their problems and faults come from within, and not from without--fate or the universe. The Fault in Our Stars implies this is a story about characters dealing with problems and fates that are largely what the universe/fate gave them (in this case, cancer), and not problems from within or brought upon themselves. There are some benefits for doing this sort of thing. For John Green, using a title that references Shakespeare instantly elevates his persona and his novel. It becomes more important. It sounds scholarly and educated. If you are going to invoke Shakespeare, you must be one of those two things or you must be a pretty good writer (at least that's the impression you give). You know what you are talking about. It still tells us what kind of story this is. I've seen some people actually take titles of famous works and try to do this sort of thing. It's that association. There are some pros and cons to this. For one, your book might show up in search results for that title, which gives it more exposure, and probably exposure to the right audience. However, it can cause problems because it is the exact same title, sometimes because you are right next to the famous text. How does yours compare? Are people looking for new reading material when they are searching the famous text? Or do they just want the famous text? Also, it can be confusing when people talk about your book. The Invisible Man by H.G. Wells, a science fiction novel, is very different than Invisible Man by Ralph Ellison, which is about social issues concerning African Americans. Both are famous, so you almost always have to specify by author. 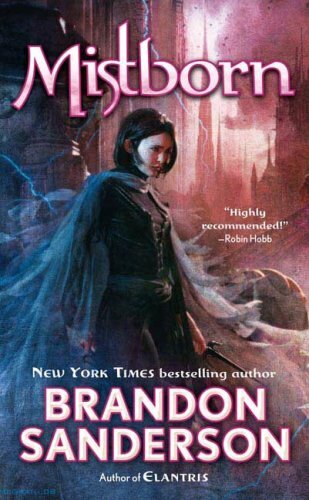 Almost always the title gains significance and more meaning as the audiences reads or watches the story, whether it's because they learn what a Mistborn is or they appreciate more the issues that can come from letting a pigeon drive the bus. Some titles work on multiple levels in this way. Let's look at M. Night Shyamalan's Signs as an example (I can already hear the booing, but I totally love that movie and many of his others). "Signs" is one of those buzzwords, because it's associated with a hidden meaning. But once you see the cover or trailer, you realize it's referring to crop circles. Those are signs left by aliens. We know what the story is about. 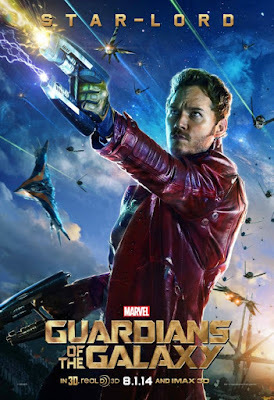 But once you watch the movie, you realize that signs also (and actually) refers more to spiritual signs of a higher power, and despite being an alien movie, the protagonist's character arc (and by relation, theme) relates to moving from believing in no meaning of life and no God to believing there are no coincidences and there is a higher power. Mel Gibson's character realizes that what he thought was totally meaningless in one context is actually a sign in a higher, bigger context. This is a great example of how a title relates to a plot, character arc, and theme. 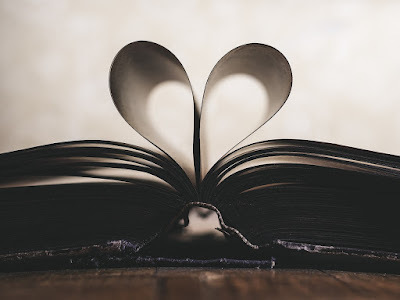 There are some cases where a book has a title that does not seem to capture an interesting image or concept, nor does it make a clear promise for what kind of story it will be, so you do not have to follow these guidelines, however, I would argue that following them results in more effective titles. As I mentioned at the starting, working titles are temporary titles for a project, placeholders for something better. In some situations, you could argue that every title is a working title until it gets published. Editors may decide to change your title. Working titles can have their own side effects. For one, you might start writing toward it. For example, if your story has "Monkey" in it, you might start incorporating more monkeys. That may or may not be a good thing. So that's a unique story of how an editor chose the working title over what became the real title. Other than the other ways I've mentioned titles can be used, in poetry in particular, titles may work to give additional context--whether it's telling us where the poem takes place, what is concretely happening in the poem, or how to interpret it. Here is a short one from poet Jack Gilbert as an example. Woke up suddenly thinking I heard crying. Rushed through the dark house. out at the bright moonlight concrete. Without the title "Divorce," we don't get a lot of context for what this poem is really about. But with the title, we understand that Gilbert is capturing an image, a moment, a concept, of what it's like being recently divorced. Notice how the speaker ultimately looks outside at the concrete, touching on the idea of someone having left. So titles can also give you context too, though most novel titles probably don't pull off context in this same way. And there you have it! Probably way more than you wanted to know about titles, but hopefully that helps you guys come up with some good ones! Help! I'm Stuck on a Story, and I Can't Move on! A while ago, I got a question from a follower, saying that they had finished a story but yet couldn't move on from it. "It's finished. Problem is, it is stuck in my head. 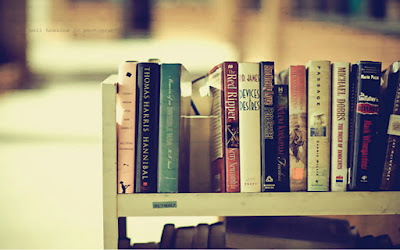 I want to move forward, develop a new story, which is completely my own. But everything I think about is this old story. Every day I add new details, new scenes. I want to make a cut, but my brain just keeps imagining. Do you know how to handle that?" "A movie is never finished, only abandoned." Meaning that people simply keep working on a movie until it hits its deadline. As for writers, when J. K. Rowling finished the Harry Potter series, she said she kept having more information come to her. She knew what the characters were doing post-Potter, who married whom, names of their children. She even had whole descendants mapped out. Not all of us have or can have a Pottermore to upload our notes to. And even if we did, frankly, most of our readers don't care as much about the "extras" in our stories as we do. While I don't think this is a problem with all writers and artists, it's apparently a real thing for multiple of them. "Abandoned" seems like kind of a harsh word to me. I guess I feel like it has a similar connotation as "giving up." When in reality, what you and others are referring to is trying to "move on." There are always changes you could make to a manuscript. Rowling has also talked about things she'd wished she'd done differently or could fix. And perhaps some people never really fully "move on"--it just grows. Star Wars will have 19+ movies total in the next decade. The Wizarding World now has Fantastic Beasts. Is there a point where you need to stop? I want to say (hesitantly) yes. Hesitant because I wonder who really has the right TO tell these people to stop. I mean, do they have their own rights to make more? Is it really fans' and audiences' place to demand that? Anyway, I'm getting on a tangent. But my point is, what you are struggling with is real, and I'm not sure there is a clear way to ax it completely. After all the time you spend on a story, it's going to be natural to reflect back on it and reconsider it on occasion (especially if you love it and its dear to your heart). However, if you really do want to move on, here is what I'd suggest trying (and please, if anyone reading this has advice, please leave it in the comments). It might be hard at first, but try to stop going back to it. Don't open the document. Don't look at the words. The more you do this, the longer it's going to take for you to move on. You said the story was completed. So let it be completed. It's likely the more you play around with it, the more it will stay stuck in your head. You might get thoughts and ideas you want to write down, but if you truly want to stop thinking about the story and move on to something else, then perhaps it's best to not write down those ideas. Eventually your subconscious will move on to something else, at least to some degree. But if you keep feeding it, it will be harder. You said you wanted to develop a new story. Great! Sometimes inspiration for a story magically strikes you. Other times we are not so lucky. In the latter case, it's simply a matter of seeking and working on coming up with a new story regardless. It might be hard at first, but eventually, you'll probably start getting flashes of inspiration for it. Hopefully, your mind will start turning to it. Or at least will find the new story more interesting. If you want, you can try giving yourself a deadline to get something new on paper. That might help put on the kind of pressure you need to do that. One reason we can get stuck on old work is because the hard stuff is already done. The plot is figured out. The characters handled. When we "work" on an old story, it's usually the easy stuff. 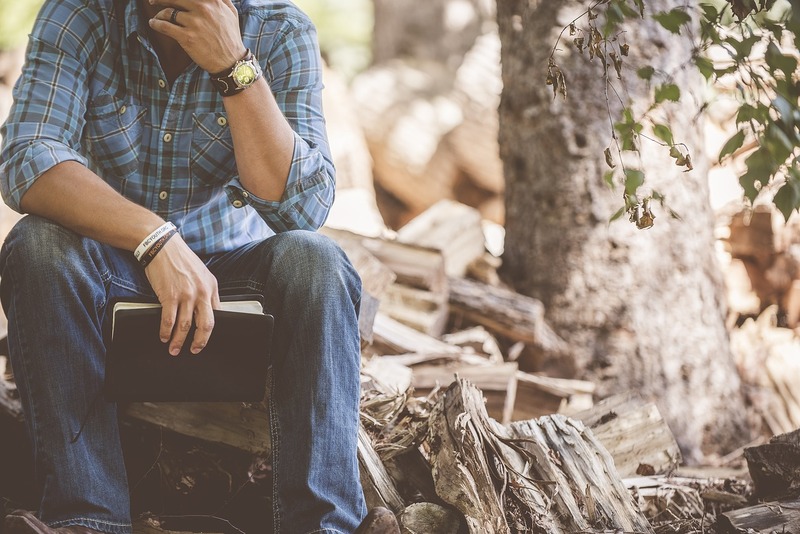 We might feel like we are getting a lot done (because we are cruising through pages), but in reality, we aren't actually doing that much writing. We're just enjoying what we have written. I don't like writing. I love having written. 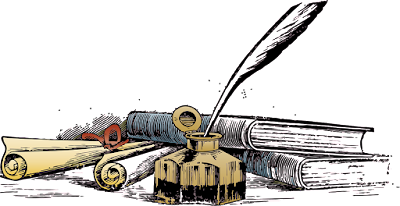 Most writers love having written. I think this can be a reason why we are drawn to go back over old work. We enjoy that we have written this, more than we enjoy the actually writing process, which can be hard and ambiguous at times. Do the hard stuff. Work on something new. I've focused this article on dealing with and getting over the problem, but I also want to acknowledge that for others, this might not actually be a problem, but a sign. Maybe there is a sequel that needs to be told. Maybe the story isn't really completed. Maybe it can be made better. There are so many different approaches to writing and they can be so individualized that for others this may actually be a sign that they do need to add and change more of the story. Ultimately it takes a level of discernment. If you are a creative, you are going to come up with some dumb ideas. I mean REALLY dumb. This doesn't mean you are stupid or not talented, it's simply part of the creative process. Some are placeholders until you get something better. Some are building blocks that will lead you to something great. But it's a completely normal part of the process. Unless you have tried to write a professional quality book, you may not appreciate just how many freaking choices a writer has to make. I mean TONS. A novel is in some ways simply an accumulation of all those little choices. I once voiced to someone how difficult it was to keep everything about my book in my head. This person didn't believe me. "Of course you can. It's your book! You wrote it!" Writing a book and reading a book is vastly different. The reader only sees the published product. The writer has all these scraps of past, present, and future ideas, dots that aren't yet connected, motives that aren't yet known, conflicts they haven't figured out how to solve--with multiple options and "alternative universes" for how the story can go. For every decision on paper, there could have been a dozen other options brainstormed. You see, there are so many components to a good story that it's almost always impossible to have every single aspect figured out and brainstormed all at once. There are too many things! And one component affects how another functions, so if you change this, you have to consider how it affects that. And on and on. A completed, polished, published work may fit entirely in your head, but a work-in-progress that is constantly in some kind of motion can often feel like an intellectual, unconnected mess. Dumb ideas will come--simply because there is so much to brainstorm and make decisions about and components that affect one another, that you can't magically fit everything together the first time (or sometimes in your head for that matter). I used to think there was no such thing as dumb ideas. I didn't believe in using the term. Until I was editing my own story. Guys, I had some really dumb ideas. REALLY dumb. But here's where I think we get confused. That doesn't mean I am dumb. Remember, dumb ideas are a completely natural part of the process. Weeks ago in a blog post about being gifted, I referred to this article on Mozart, which touched on something that had been living in the back of my head: dumb ideas. As writers, when we sit down to brainstorm, the first things that come to mind will almost always be the most cliche. Why? Because we've seen them so many times! Of course they will be the first things that comes to mind! "Hmmm . . . what kind of tree should this be? 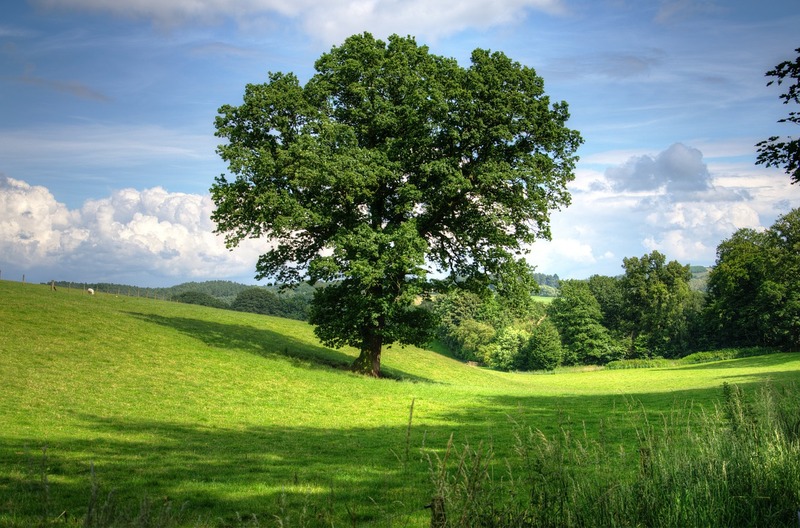 Oh, an oak." --like all the other hundreds of trees in fiction are. Some other lesser ideas happen because they connect dots and problems easily. They fix or add conflict in simplistic ways. "Hmmm . . . I have this character that died before the story started. What did she die from? I know! A car crash!" --like all the other hundreds of other characters that are dead by the time the story starts. The simplistic and cliche aren't always wrong. There are definitely times where you should use them. And sometimes they are even the best idea to use. Some dumb ideas aren't either of these kinds, but simply concepts you didn't think through. BECAUSE REMEMBER HOW MANY THINGS YOU HAVE TO BRAINSTORM? You may be focused on brainstorming a main component and come up with a dumb idea for a side effect issue that popped up unexpectedly. I once met a Shakespeare scholar who stood and told us how amazing Shakespeare was because he wrote so fast that he didn't have time to think up character names in his early drafts. He told us this like it was something stunning. Having worked in this industry for several years, let me tell you, Shakespeare was completely normal. I mean, he was a genius. But that part of his creative process was completely normal. Because you don't brainstorm everything perfectly at once. Lots of writers stick in "placeholders" so they can get on with the story and figure out that stuff later. Just a few weeks ago, someone in the industry posted some dialogue where they had marked the speaker as like "dwarf guy #1" because they hadn't yet come up with a name. In early drafts, I use some kind of placeholders all the time. Sometimes things that are even less than placeholders, like, "[insert a line a of setting description]"--because I haven't yet brainstormed the details of that setting or the contents of that line, and right now I'm focused on the plot. Sometimes I use dumb ideas because I can't think of something better at the time that satisfies my needs. But because a WIP book is like a constant moving target, I have been shocked more than once how an idea that appears later in the story crops up and I can go back and replace my other crap with something brilliant. Some of the dumb ideas that I worry so much about end up solving themselves through the process of writing a book, and I realize they were really placeholders until I found something better. Other times, it's not so easy. For one, you have to come up with some good ideas before putting pen to paper. If you write a whole book with largely dumb ideas, then it's going to be a beast to rewrite and edit. It's almost like you are starting over from scratch anyway and have all the same problems. You have to come up with some good stuff to get a solid draft started. 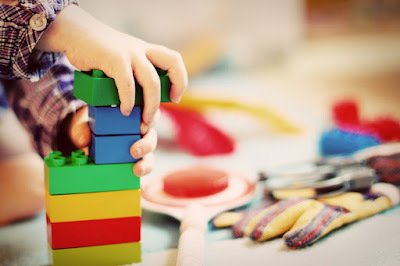 Sometimes in situations where dumb ideas aren't placeholders until something better comes along, they may be more like building blocks. You might brainstorm them all out first, so you have to work your brain into coming up with something better and they don't keep swimming around in your head. But sometimes the dumb idea can be the seed that grows into something better. Maybe for some reason your protagonist is not turning to the police no matter how ridiculous, dangerous, or serious her conflicts have become. You might look at it and realize that this is stupid. Any coherent person would go to the police at this point. You either need to rewrite the story so that she does go to the police. Or brainstorm a believable reason she does not. Perhaps in the process of brainstorming the latter, you uncover a treasure chest of powerful motive, characterization, and worldbuilding that will take care of this problem and actually make the story better. Thus, having that dumb idea actually ended up being a building block to something better. One of the things that I think most of us writers pray for is that all our dumb ideas are taken care of by the time the book is published. In some technical or complicated scenes, you may have a dumb idea that has emerged out of the darkness from the sidelines that you had not foreseen. Like anyone, I want to believe that we can always get rid of them, but in some situations, especially in later drafts, that might be rather difficult to do, as it might change a bunch of other things that connect in, in the process. It might not always be realistic to get rid of all of them. Thankfully, motives and portrayal can go a long way to fix some problems. Some writers say you can get a character to do almost anything if you show the right motive. Other times the right portrayal--how that concept is rendered on the page--can go a long way. If you look at some of the concepts in Lord of the Rings, they might sound rather silly. Little people with hairy feet and huge appetites? Magical rings? But the portrayals take care of a lot of that. Another fantastic example is Guardians of the Galaxy. When the first movie was going to come out, a lot of people thought the concepts were ridiculous, or even dumb. A talking raccoon? A green lady? A giant tree that can only say the same three words? Man, that sounds dumb. But it was amazing! Why? Because of how the creators rendered those ideas. And I'll throw in Hamilton too, because most people who heard Miranda's concept thought it sounded dumb and ridiculous. But he had the vision for what many others called a dumb idea. He saw how to marry hip-hop and rap with the founding fathers. Here's what's crazy about some of these things. Lord of the Rings, Guardians of the Galaxy, and Hamilton ended up all being pioneering. They changed their industries. The world was not the same after them. 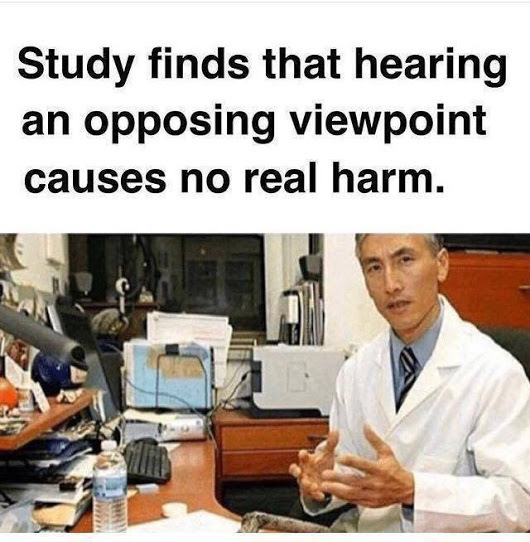 So sometimes what the vast majority may think sounds stupid (because they don't understand it or have never seen it before) turns out to be revolutionary. In each of those cases, the creator had the vision for what the story could become--and he knew how to portray it to make it work for audiences. Perhaps in that way, there aren't dumb ideas (concepts), only dumb portrayals and motives. Those are the dumb ideas. So sometimes you can even run with something ridiculous and see how you can make it work for the masses, like Guardians. And sometimes with stupid ideas, if you actually poke fun of them on the page, instead of taking yourself so seriously, you can make them entertaining. And/or you can validate the situation to the reader, which I've talked about before on here. Just remember, there is no shortage of dumb ideas. And if you aren't coming up with some stupid ones, you are probably blind to your own creative process or too timid to face the rubbish head on to get to the good stuff.